As much as I love a glass of wine now and then, I don’t usually have the opportunity to use my wine rack for the purpose of entertaining as much as I would like. 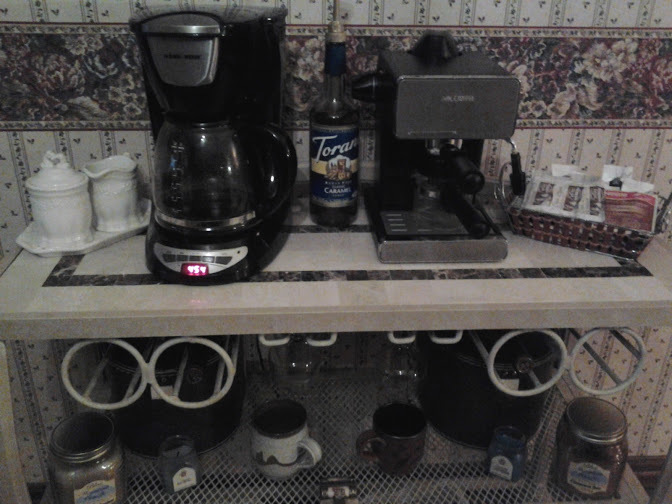 We also have been needing a bit more counter space, so I thought it might be fun to use it for my morning coffee. It also made a nice display for my mommy friends when we had our holiday party this past weekend. The nice thing about this particular wine rack is that I can still store my wine bottles for a grown up evening. I also have enough room for coffee mugs as well. 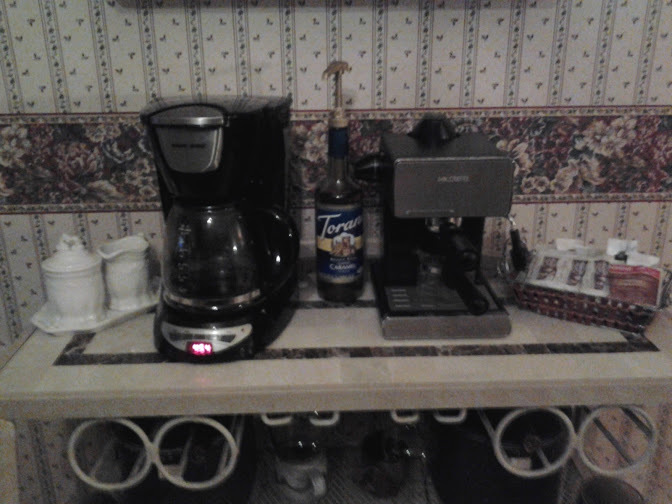 I can now have my coffee maker, latte maker, syrups, teas, cocoas, and everything all in one place. If you would like to have a coffee bar, you could also use a simple buffet table or re-purpose an old dresser. So what kinds of DIY projects are you working on this week?